Athletes are always in pursuit of the competitive edge. What can they do to become stronger, faster, and more resilient? Any seasoned athlete knows that this advantage lies not only in training, but in recovery. An athlete that recovers faster can train more frequently and improve their performance at an accelerated rate. The dairy industry has caught on to this training idea, and it is attempting to capitalize on it by selling chocolate milk to athletes as the ideal recovery fuel. To support its claims, the industry has discreetly funded several athletic studies to favor this sugary beverage as an athletic performance enhancer. However, a closer look at the research reveals seriously flawed conclusions. In 2015, “The Effectiveness of Chocolate Milk as a Post-Climbing Recovery Aid” was posted in The Journal of Sports Medicine and Physical Fitness. Researchers conducted a crossover study, tasking ten male rock climbers to perform a series of pull-ups and climb a Treadwall until exhaustion. During the first test, the climbers drank 500ml (about 2 cups) of chocolate milk 20 minutes post-exercise and at dinner. The following day, the participants climbed again. One week later, the climbers performed the same activity, but the chocolate milk was replaced with water. 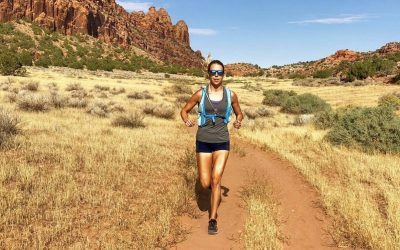 Researchers measured the athlete’s heart rate, rating of perceived exertion (RPE), blood lactate, muscle soreness, and duration and distance of each climb. They found that the athletes climbed a greater distance and for a longer period of time under the chocolate milk condition. The climbers also experienced less muscle soreness three days-post exercise when drinking chocolate milk. The most glaring issue with this study is the comparison to water. While water is essential for hydration, it contains no calories or nutrients, two necessary components for muscle repair and recovery. The researchers could have used virtually any caloric beverage—milkshakes, artificial fruit drinks, essentially any liquid with calories—and would have very likely achieved the same results. 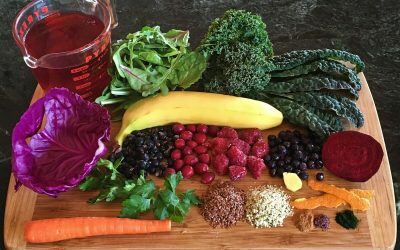 In fact, if the researchers truly wanted to find the most nutrient-dense fuel for athletes, they could have used dirt, as it also contains some calories as well as high levels of calcium, magnesium, and potassium. While this might be extreme, the point is that the study created an unfair comparison which was further compromised because the athletes were prohibited from drinking protein supplements or sports drinks during the duration of the study; therefore they could not supplement this lack of calories during the water test. The researchers also did not keep track of the participant’s regular food intake, which presents gaping variables. A far more useful study would have required subjects to maintain food records, allowing researchers to ensure that other dietary factors didn’t influence the results. Another questionable factor lies in the chocolate milk itself, as the researchers may have used a dairy-based protein drink instead. The study credits For Goodness Shakes for providing the beverage. This company does not currently sell pure chocolate milk, but a chocolate protein drink. While it is possible the company could have once sold chocolate milk and discontinued the product, it is also quite possible that chocolate milk was not even used in this study, which could render the paper’s findings completely irrelevant. Finally, participant bias may have influenced the results, as the researchers did not run a blinded study. The athletes may have experienced a placebo effect, possibly believing they could perform and feel better when drinking chocolate milk (and obtaining nutrients) as opposed to water. Given that several measures were subjective (muscle soreness, RPE), this placebo effect can significantly alter the results. 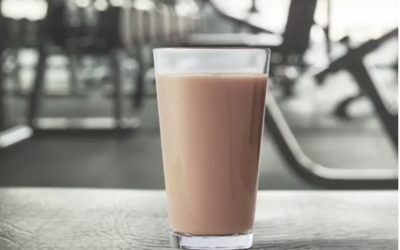 Like other studies that have compared chocolate milk to water in sports recovery, the only reliable conclusion is that calories and nutrients consumed post-exercise aid performance. It does not prove that chocolate milk is superior to other foods or beverages. The dairy industry is drowning in overproduction of milk, and it is using every marketing avenue possible to stay afloat—selling to children, families, and athletes. Chocolate milk is not a superfood, nor is it even a health food. It is simply a marketing ploy. In our consumer-driven economy, it is critical that we learn to think about the products being sold to us. Sometimes, this requires more than a quick glance at the nutrition facts or skimming the headline of a study. If we’re buying packaged products, it is essential to think critically to determine what is best for us, not the pockets of the dairy industry.